17.03.2018. MERSRAGS, LATVIA. 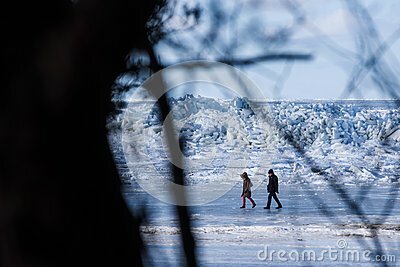 People are walking near massive area with huge ice wimp stack in the Baltic sea.